As a two-year long iPhone 3GS user, I finally decided to take the plunge into the world of Android starting with the Motorola Atrix 4G. Although there are many great smart phone offerings this year, I decided to go with this phone since it has a dual core Tegra 2 processor and a built-in webtop interface for use with a laptop dock accessory. The Atrix is a very attractive looking device with a matte black finish and a silver pattern on the back. It is remarkably slim considering the hardware it packs inside. There are only three physical buttons on the device: the power and volume toggle buttons. The menu, home, back and search keys are touch sensitive. I was only bothered by the power button which is a little recessed into the back of the phone. This is almost certainly because it also doubles as a fingerprint reader. After a few days of use, I am beginning understand Motorola’s reasoning. Although awkward, it allows for quick and secure authentication. The positioning also makes it slightly easier to reach for those with small hands. The Atrix 4G has a large 4-inch 960-by-540 pixel resolution screen which is a mere quarter of full HD (1920-by-1080). I found the screen incredibly clean and crisp, even though it does not have the same pixel density as the iPhone 4: 960-by-640 pixel resolution. Despite having such a large screen and a dual-core processor, I was pleasantly surprised at the battery life. It made it through a whole day with 40% to spare after heavy usage: browsing the web, texting, phone calls, listening to music, and an hour-long video call. In my opinion, the biggest downside is the MotoBlur interface. It doesn’t seem as polished as other Android user interface overlays such as HTC Sense. The MotoBlur widgets look rather ugly in my opinion. The bundled social networking widgets inefficiently require using one to view status updates and another to post an update. Small quirks such as this one are just annoying. Why not have a single widget that offers both? In addition, the music app is quite lacking. The native Android player does not offer cover flow or any way to control the music from the lock screen. I also noticed that the play and pause button on my headphones were not compatible while they do work with other Android smart phones. Hopefully Motorola will release a major software update addressing some of these concerns soon. I also found myself frustrated with AT&T again. 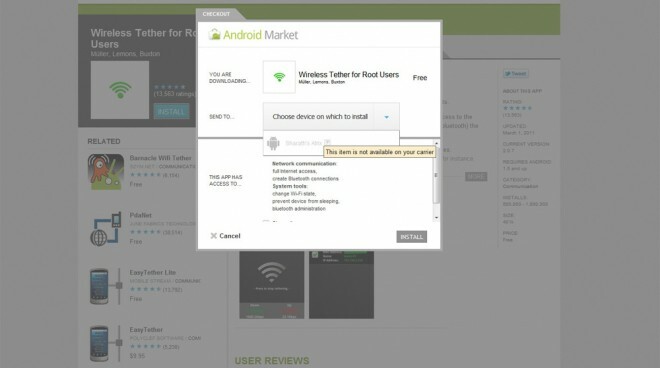 The carrier has blocked certain applications in the Android Market. They even go as far as to restrict installing 3rd part applications that are not from the official Marketplace. If you are resourceful, you can get around this fairly easily by rooting your Atrix. Doing so may void your warranty so proceed with caution. The Atrix has been an incredible device so far. I am happy with the fast hardware, but slightly disappointed with Motoblur and AT&T restrictions. I really hope that Motorola steps up to the game and makes some major changes. Thankfully these smart phones are easily software upgradable over an internet connection so delivering new updates is not an issue. If AT&T decides to loosen up their policies like other carriers who offer Android, I would be much happier. If you’re unsure whether the Atrix is for you, check out Sahas Katta’s article about Why the Atrix Isn’t for Everyone. Thanks for the review, I recently picked up an Atrix and would like to address some points. Before going further, I’d like to say it’s a great phone and holds its own against the onslaught of Q2 2011 Android phones. -The webtop experience is lacking…severely. While the Atrix has its strong points, its ability to Optimus Prime into a netbook isn’t one of them. I have high hopes for the future of transforming smartphones, and so does Motorola, as it’s announced that it will bring the webtop feature to all of its future phones this year (Bionic included, in a later update), the software isn’t mature enough to make it a worthwhile feature. Certainly not worth the price of the webtop dock or even the HD-dock, in my opinion. -The battery life is awesome and so is Nvidia’s Tegra 2. Not only does it have the power and improved efficiency of Tegra 2, but it also has a huge 1930 mAH (about 500 mAH more than is standard). We’ll see how Tegra 2 compares with other SoCs once the competing chips roll out on the market in the coming months. While Tegra 2 might not be the most efficient of them all (due to power regulation–its current inability to turn off cores), it’s certainly the platform that Gingerbread and Honeycomb are being built around with 3+ months on the competition. Phones built around Tegra 2 will likely have the most user support from xda-developers and the like. -The fancy screen–it’s pentile. While you get those extra pixels in the form of a quarter-HD display, its subpixels are arranged in a RGBG pentile layout…certainly something worth addressing. It certainly doesn’t bother me and most probably don’t know or care, but the picture is a tad grainier than stripe displays. Samsung’s upcoming Galaxy SII uses a superior AMOLED stripe panel, which will be much brighter with a higher contrast. It should look better despite its lower resolution; just some food for thought. -MotoBlur is MotoBlur. This phone is bound to have so much user support that anyone fussing about MotoBlur will be able to root with vanilla 2.3 soon enough. Sure, it’s probably worth noting that MotoBlur isn’t considered the best UI overlay for Android, but the Tegra 2 chews through any imperfections to at least make the experience as smooth as butter. Grab LauncherPro or any of the dozen other UI apps to suit your needs. The Atrix’s advantages far outweigh any concerns with MotoBlur. -AT&T, fully armed and operational. The darkside isn’t that bad–much of it is hype, the rest is actually living in lower coverage or ‘difficult-to-cover’ terrain. Cell broadcast doesn’t do well in hilly or mountainous terrain and so is compensated with an abundance of cell towers. We’ve all heard about AT&T’s downsides, but it’s not all doom and gloom. GSM networks are much more widespread internationally than CMDA (Verison). AT&T’s data rates are nearly twice as fast, on average, than Verizon (though, Verizon is reportedly superior at data compression, meaning they’ll tie or come close in certain tasks). AT&T is desperate for your business–in fact, I paid $100 for my Atrix, not the $199 retail. I’ve yet to encounter any restricted apps, etc., but it’s probably nothing an apk installer app (i.e. Apk Installer) won’t fix. Overall, it’s a great phone given what else is currently available in Froyo. We’ll have to wait and see how it compares to Gingerbread flavored devices arriving in Q2, but as it stands, it may very well be the best Android phone to date. My daughter just bought an Atrix a week ago and I have phone envy!!! I am an iPhone 3G user with AT&T, and am now really close to jumping to Android or hanging in there and upgrading to the 4G. My contract is up for renewal and I’m wondering how you got AT&T to offer you the great price of $100.00 on the Atrix? Our store’s here are always so “generous” and offer to waive the activation fee of a whopping $35.00!! What an incentive, eh? Thanks for your review and information. All very helpful. Had a conversation with their retentions dept a couple months ago to get two non-iPhone4 phones for free with a renewal of our family contract of four phones, plus free activation fee with new SIMs on all four phones. They agreed to apply that to the Atrix as well when it was released. So, in actuality, we bought 4 Atrix’s for $100 each. I doubt you’ll be able to get a single Atrix for $100 plus contract; a bit of a sensationalist half-truth on my part. I talked with a few other carriers, namely Verizon, and wasn’t able to get a deal even close to that. My point is that there’s more wiggle room right now with AT&T than other carriers. Contact AT&T retentions, ask them what they can do for you to keep you as a customer. The larger the contract, the more of a bargaining chip you have. Hey thanks much! As far as competition goes in Alaska there are only about 2 other options so I can’t even mention going to Verizon. But i do have a 4 phone contract as well with 3 smartphones so they get a fair bit of cash from me monthly! I’ll ask as you suggested. I am ready to either jump to Atrix or upgrade to a 4G iPhone but since my daughter bought her Atrix a week ago, I have serious phone envy!! I’m wondering how you got T&T to give you the $100.00 price??? The only “deal” our stores ever offer us is the waver of the actvation fee…….a whopping $35.00! What incentive, eh? Thanks for your reviews and great information!! That PenTile display is partially responsible for the long battery life… because it is PenTile RGBW LCD. It has more aperture ratio (more light from the backlight gets through each subpixel) and a one of every four subpixels is white, (i.e. no color filter, so even more backlight gets through) and finally, it has Dynamic Backlight Control (DBLC), which turns up and more importantly, down the backlight from moment to moment, in response to the needs of the image being displayed. The end result? It uses half the power of the old fashioned pre-PenTile style displays. Since you linked to Samsung’s Nouvoyance site, can you comment on why Samsung (one of the major manufacturers of RGBG PenTile panels) has decided to transition to an AMOLED RGB stripe matrix for their Galaxy SII and upcomming phones? Also, what are the advantages (if any) of using an RGBW matrix on an AMOLED panel since OLEDs create their own light and don’t require a backlight? 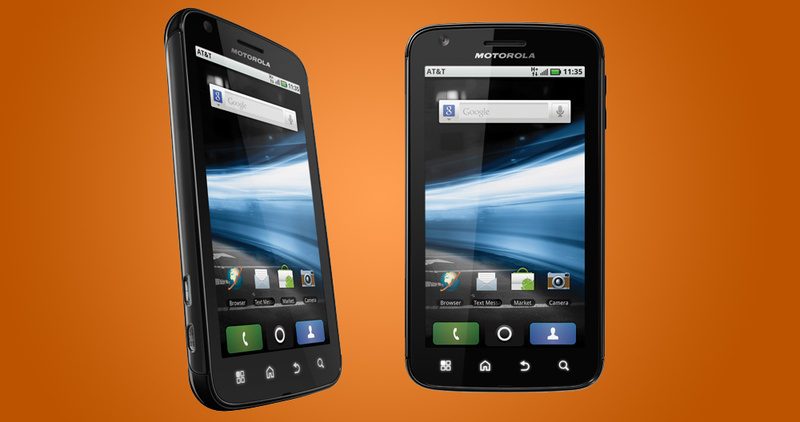 We all know that Motorola Atrix is far from being a perfect Laptop or Desktop PC. But is there any smartphone that can do even half of what this device can do? Motorola is still on the development stage when it comes to merging the smartphone and laptop/desktop. Sooner or later (hopefully this year), things will improve and we will no longer be needing a CPU. Just an opinion guys!